A recent study by Enterprise Management Associates reveals that 87% of IT professionals are currently planning strategic, enterprise-level ITSM programs with the support of senior management. Whilst the principles of service management are laid down in various best practice frameworks, they lack a rigorous approach to measuring performance and improvement. 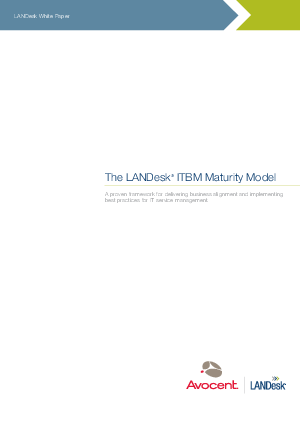 Consider how Avocent's LANDesk Maturity Model approach can help you align service management processes with corporate business objectives.